Proactive herbal ingredients has extra strength joint relief properties. Improved absorption by clarified butter, keeps joints lubricated for improved mobility. Strengthens joint tissue and increases collagen that helps in improving the strength of muscles and ligaments. 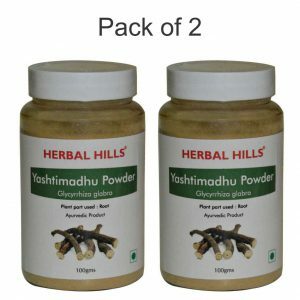 Natural formula that reduces aches and pain due to arthritis or Osteoarthritis. 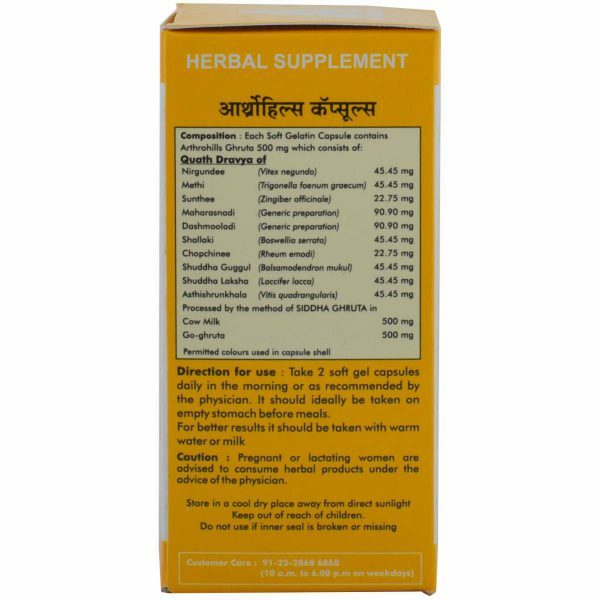 Arthrohills is a natural herbal supplement packed with herbal actives that can help reduce the risk of bone complications. Bones and joints play major factors in our daily health, be it mobility, flexibility or even pain management. 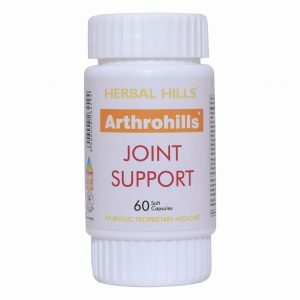 Herbal Hills Arthrohills capsule – Joint Care Supplements contains 500 mg of best, premium & natural ingredients such as Guggul, Methi, Nirgundi, Suntheel etc. which benefits bones, muscle and joints. 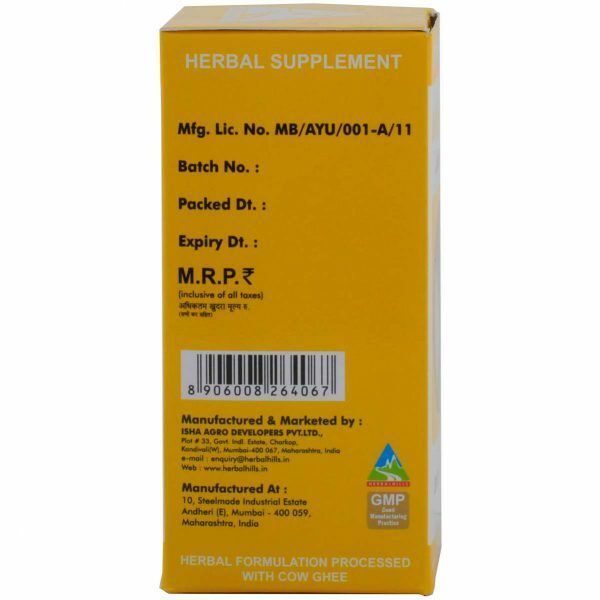 These capsules are manufactured in a GMP factory where high quality standard are achieved. Arthrohills capsule is clinically approved for Arthritis & Osteoarthritis treatment. 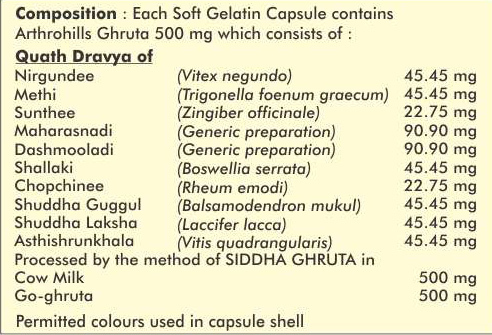 For optimal results 2 capsules in the morning before meals or as directed by the physician.